Choosing to leave our home and belongings, to jump full time into rv living, wasn't a hard decision for us to make. We were excited about simplifying our lives, letting go of the burden of too many possessions, not owing anyone anything anymore. While to some that may sound romantic, it is important to understand that our decision was about changing our lifestyle. We didn't win the lottery. We can't go wherever we want and see all of the sites. We have to work and earn a living, we have to watch our very small budget and at 9 miles to the gallon, we cannot zoom from coast to coast at will. One trend we see more and more is that people are simply choosing to live in an rv instead of an apartment or home. We've been in many campsites where people get up in the morning and go to work 40 hours per week. 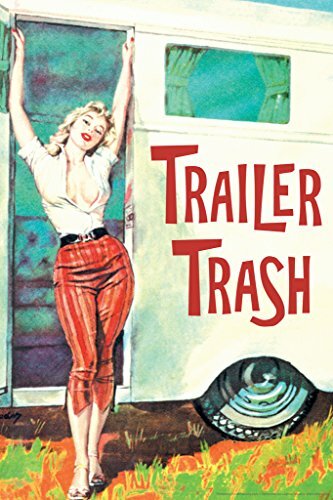 Some do it out of financial necessity, some do it by choice....but the illusion that rvers are always on the move is not accurate this day and age. Just the phrase "living out of an rv" versus being full time rvers, rving and the like sounds different, doesn't it? Many people picture glamour when envisioning a couple retiring, buying a brand new shiny recreational vehicle and living the life of luxury, traveling, etc. It is a temporary lifestyle by choice to save money up to improve finances in the future. Once the objective is met, they will no longer live in the rv. Economic problems have forced this lifestyle upon them and they hope to move back into a cabin, apartment or house someday. They have chosen to simplify and intend to live this way long term, but still have to work to earn a living (we fit into this category). These certainly aren't all of the variables, but many rvers we meet in campgrounds, ones who have no intention of moving anywhere or traveling, fit into these categories. Currently we have a National Guard gentleman next door who is gone most of the day, 6 days per week. We also have a couple across from us and the man works nights and goes to work Monday through Friday. One is hoping to save up money to get out of the rv, the other loves living in an rv. No matter the reason, I've seen many questions pop up over the years where people currently in apartments ask, "can I live in an rv?" The answer is "yes" - but you need to know the following tips before doing so. 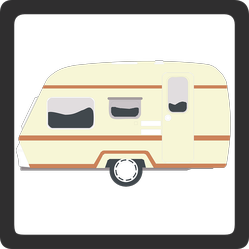 You Need An RV: The initial investment of an rv can, for those considering rving short term or forced into it, scare them out of their decision. You do not and should never take out a loan to achieve this! We have only bought rvs to date that we can afford in cash. Keep searching ebay and craigslist a few times per day and you will find one in good working order, even if not sleek and shiny. You Need An Affordable Place To Live: If your only option locally is a savvy rv park that charges $500++/month, you may have regrets if you have to stay in the area to commute to a job. For those who can work online (like us) you can search out the cheapest rv parks and travel to them, become a campground host where your rent is FREE or even enjoy free rent via boondocking with places such as Boondockers Welcome - Be My Guest RV Parking. For those who cannot leave the area, work hard to find the most affordable rv park in your area or advertise on craigslist to find land you can park on for a small rent (we did this last summer and had five acres to ourselves!). It really depends where you are at in the country. We stayed at an awesome rv park in the mountains of NW Montana, with all amenities included, for only $275/month! We've also been stuck in places that are $400 PLUS you pay utilities...very costly when running air conditioning or heaters full time. There Is A Learning Curve: RVs are not like apartments in many ways. One of them is that you actually become a homeowner of sorts. You need to take time to learn about gray and black water tanks, how to empty a toilet (no, you don't flush and it magically disappears), propane, electric, stabilizing and leveling, winterizing if applicable and basically how the whole home on wheels functions. You won't simply "move in" and that's it. You have to be willing to learn the ins and outs of your recreational vehicle. Space And Other Considerations: Even the biggest rvs are smaller than most apartments. You have to be willing to accept the limitations of living in a smaller dwelling full time. Also, we have an rv dog (she is big) and an rv cat (also big, haha). Our pets thrive in this rv lifestyle, but we are around all day and get them outdoors, exercise, etc. Don't crowd your pets into a small travel trailer and leave them there alone all day...they won't be happy campers. Would You Ever Consider Living In An RV Instead Of An Apartment? You Are Not Alone/Sense Of Community: Every place we rv brings with it the opportunity to meet more unconventional people like us. Unlike in an apartment, where people rarely say hello to one another, you will find a new family in this lifestyle. We've had strangers help us when something goes wrong with the rv, they've lent us tools we didn't have on hand...the list goes on and on. It is like living on another planet...it is absolutely awesome! You Definitely Save Money: Even a cruddy apartment, once you pay deposits, utilities and all of the other extras, costs a fortune. 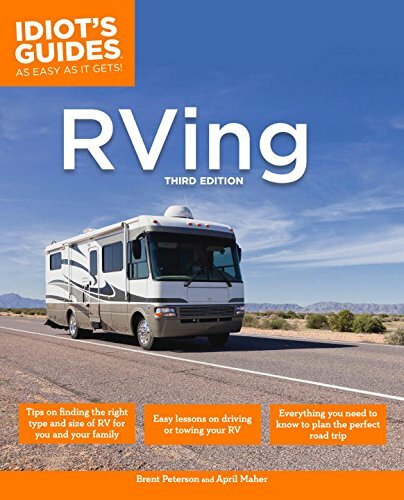 RVing is rent, filling propane tanks and sometimes electricity (but we don't recommend staying in places where they bill you for electric...there are many campgrounds that include it). No More Signing Your Life Away: I hate leases and contracts, feeling like a prisoner in my own home...will never sign on that dotted line again in my lifetime. In rving, if you don't like your neighbors or "landlord"...welp, then MOVE! It is your life, you own it...you are in charge! So Many Little Perks: I love not having tons of material possessions that need money, repair, etc. I love not having to clean a big space. No more yard work, too! I love getting no mail anymore because I pay for my life in one monthly rv park fee. The stress literally melts away in this lifestyle. Even if you go to a job you aren't thrilled about, when you come home you can truly relax. Our rv feels like a big hug on a cold night - we light our incense and candles, put on music and just be in the moment. For those year round in an rv by choice, even if on a tight budget and having to work, most will tell you that the reduced stress, feel of control over your life, cost savings and people you meet are so worth it! We are those people - we wish everyone in the world would experience it for one year to see how differently they view the world and how alive they will feel. But when forced to do anything, it is hard to be positive. This is the time to see the glass as half full. Look at the rest of the world hustling and bustling, buried in debt, tied to leases and mortgages and car payments. Having to come home from work and clean house, fix this and that, mow the lawn. 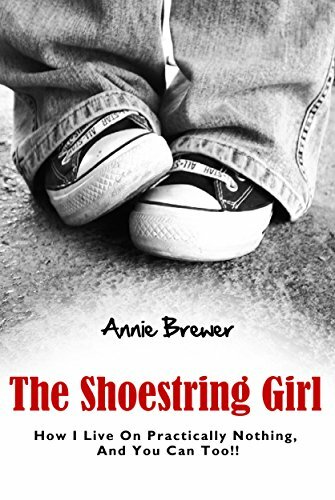 Know what your life can be like when you don't see rving as loss but gain? Come home, make a campfire, visit with other relaxed friends and neighbors, put your feet up and...well...feel alive. The less you have to tend to, the more living you will do. It is basic math. 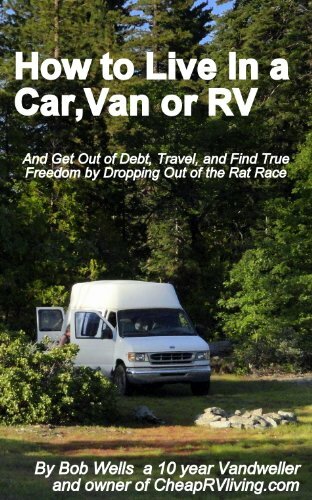 There are so many great ways to live the rv lifestyle of your choosing, Katie. Jim's brother and sisterinlaw rv full time and are campground hosts at beautiful places in Georgia, Minnesota, east coast. They get free rent in beautiful areas just for hosting or giving nature tours, etc. So much opportunity out there! With your online income, passive income is a great way to put gas in the tank and more, too! It is amazing how they put rvs together, like a jigsaw puzzle, to provide as much comfort and necessities as one needs! I love peeking in other people's motorhomes (with their permission...don't mean I peek thru windows, haha) to see the varieties of layouts. I know in my heart I'm not done buying used rvs. Really want to experience a 5th wheel next! A canal boat sounds like an absolutely lovely experience! Even if I cannot travel around the country around the clock, it is very refreshing to know that I can leave and go wherever I want. Especially love not having those annual leases apartments have here. Always felt like the cuffs were being slapped on when I would sign them! Lana, It was this one...fleeing New England! Which link do you mean? The wizz, squidoo or blog? Feel free. btw I do love the feeling of owning my little space. It's tiny and a bit run down but it's mine. As long as I pay rent on the space (minimal) I won't be homeless.